Every time I hear the advert on the radio or see it on the TV it drives me into an absolute rage – how can they run a campaign like that, it’s ironic, it’s insensitive, it’s untrue ….it’s a meaningless marketing tagline and message designed to make them stand out. The “message” is that we are different because we really care about you, we consider our customers in a different way, we know our customers, we are sensitive to our customers needs, we are customer focused. When you come up with a PR or advertising campaign it must be true in order for it to work. It’s not about fancy taglines and cool adverts – it should be about capturing the real essence and truth about that business and then delivering on that promise. Think of the simple “Ronseal” principle – “It does exactly what it says on the tin“. When you get this right it works. 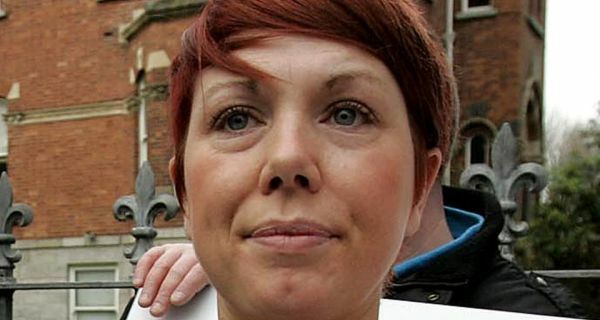 Stephanie Meehan brought the nation to tears about a month ago on the Late Late show with her heartbreaking story about her husband Fiachra who took his own life due to the pressure of the Priory Hall debacle – A badly built home that they were put out of nearly two years ago because it was so unfit for purpose. Her story was one of reckless builders and an insensitive bank who would not take circumstances or emotions into account and kept hounding her and her family for money they were not in a position to repay. Unfortunately something had to give .. The incredibly brave Stephanie, when she was strong enough told her story to the media, which culminated in the appearance on the RTE Late Late show. After the sobering and tear jerking story on the show there was an audience prize giveaway and an appearance by some band and smiles were back on everyone’s faces – the show is about entertainment and they have a duty to mix the content but I was surprised at how quickly we could move on. “That’s very sad, poor girl ….next!” – do we move on that quick? Personally I wasn’t surprised when I heard about Stephanie’s family story – for years now I have heard countless stories about banks who have been showing no mercy to anyone as they push through their agenda and pick at the bones of what remains of people and their businesses. People have been destroyed and good businesses have been shut down because of this behaviour – how many other lives have been destroyed I wonder? I fully understand that the banks have a job to do but we all know and fully understand the circumstances of our economy, the huge role that the banks played in fuelling the problem – decency, understanding and mercy should be ethics that we all follow in our professional and personal lives and the banks are no exception. Stephanie’s appearance had the effect of the bank waiving part of her debt “given the specific circumstances of the tragic case” – well done! In my personal view this was just PR pressure – they knew of her “specific circumstances” well before her Late Late appearance. Was there a public apology, was there a genuine promise and commitment that they would investigate their internal procedures, did they assure us that they would interview everyone involved in this case? I didn’t see or hear about it if they did. Instead we get a brand new advertising campaign – was it already planned, was it to balance the poor PR from the incident ….is it a true reflection of their bank and their values? 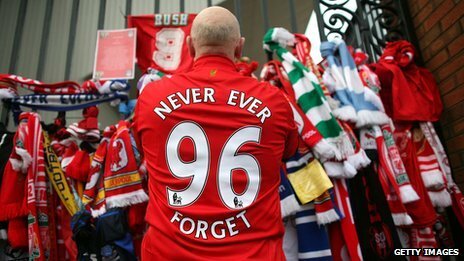 I know it is a totally different thing but in Liverpool, 24 years after the Hillsborough tragedy where 96 Liverpool FC fans lost their lives The Sun newspaper is still boycotted – this is due to their hurtful and incorrect coverage of the incident at the time. They don’t forget or forgive in that town. It drives me mad – Why do we move on and forget so easily? Fuzion are a Marketing, PR and Graphic Design firm in Ireland with offices in Cork and Dublin. Embarrassed into action – lousy PR? 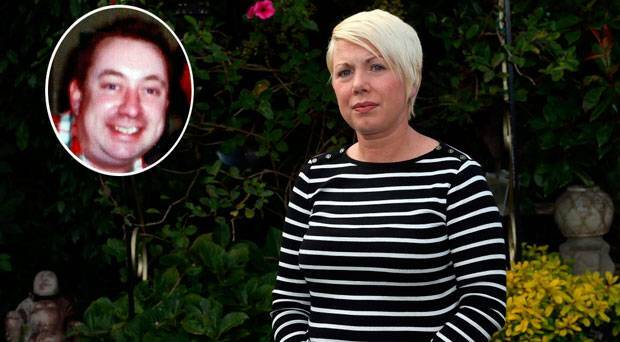 Stephanie Meehan’s partner, Fiachra took his own life in July of this year. The Meehan family were amongst the many innocent victims of the whole Priory Hall fiasco and it looks like Fiachra finally succumbed to all of the pressure including being out of their home for two years and insane pressure from their bank. Stephanie resorted to letters to our political leaders and then to the media, who thankfully were listening and highlighted her plight. She courageously told her story last Friday night on TV to a huge national licence (RTE – Late Late show). I was enraged that she was told not to name the offending bank – this brave woman had lost her husband, she was still out of her home, she was still being hounded by the bank and nothing was being done to sort it and we wanted her to be silent! I have no doubt that in our politically correct and litigious world naming the offending bank on national TV was too big a risk – why are we protecting such heartless, careless and cruel corporations in favour of the plight of Stephanie and so many others? I vented my frustration on twitter along with throngs of other tweeters. Thankfully within minutes social media took over and did the job of naming the offending bank on Stephanie’s behalf. It appeared from the various people posting on Twitter that the bank was KBC bank. Click here to see what is stated on the KBC bank website about “Managing your debt” including a helpful video delivered by a very pleasant young woman. You could see that there was a nervousness with the people tweeting – were they sure it was KBC bank? A few tweeters privately started confirming this information and in no time it seemed certain and people were now tweeting with confidence. Once the Late Late show was over, the audience prizes given out and we all went about our weekend routines I wondered what would happen with Stephanie, Priory Hall and the offending bank. The Irish Times confirmed this morning that KBC have said “it would not pursue Ms Meehan for any balance on her mortgage“, despite sending her a letter on August 28th (two weeks ago) highlighting arrears plus interest due! Were the “specific circumstances” the awful human tragedy or was it the media heat and extreme embarrassment that they were uncomfortably experiencing? At least KBC bank could throw resources at the problem the minute they started to feel a little uncomfortable – poor Stephanie and Fiachra had no such release valve. This was the very least they could do but it leaves their reputation in tatters. If they are genuinely sorry about what happened and want to live up to the promises on their website they should hold their hands up, apologise sincerely and promise that they will review all of their debt collection procedures and provide training and strict criteria to all personnel involved in this process so that this type of tragedy would never happen again.